The duel between Poland and Senegal will be played at the Otkrytiye Arena in Moscow on June 19th. The White and Reds are one of the favorites to reach the Round of 16 alongside Colombia, but there will be no easy points against any opponent in this group and the Lions of Teranga certainly have the quality to mix it up. Poland qualified for their eighth World Cup, and after missing out on the tournaments in South Africa and Brazil they will try to reach the Round of 16 for the first time in this century. The White and Reds’ biggest success at the WC is the third place that they managed to win twice; in Germany 1974 and Spain 1982. On the other hand, Senegal made it to their second World Cup, and although it will be tough to repeat the success of the generation that played in the quarter-finals in South Korea and Japan in 2002, the Lions of Teranga would be satisfied with progress to the knockout phase. Adam Nawałka’s side played six international friendlies after the end of the qualifications and won two of them; against South Korea and Lithuania, while Poland suffered a couple of defeats to Mexico and Nigeria. Poland is without a loss in the last three games in which they scored nine goals in total, conceding four in return. AliouCissé’s team participated in five friendlies and recorded a win and loss with three draws, two of which were scoreless. Senegal lost to Croatia 2-1 but beat South Korea 2-0 in the final game before leaving for Russia. Poland’s all-time leading scorer and Bundesliga top scorer Robert Lewandowski is labeled as one of the favorites form the shadow to win the Golden Boot award, and considering his recent form, four goals in the previous three matches, he is a player to watch not only in this game but also at the tournament. Senegal also has a superstar in their squad as it will be interesting to see how the Polish defense will cope with forward Sadio Mane who had an excellent season with Liverpool. Mane’s pace and dribbling can hurt any opponent, and he has the potential to explode in Russia. It’s the first-ever meeting between two sides and although it is tough to predict the winner of the tilt, with all offensive weapons on both sides, I believe the goals shouldn’t be missed here. 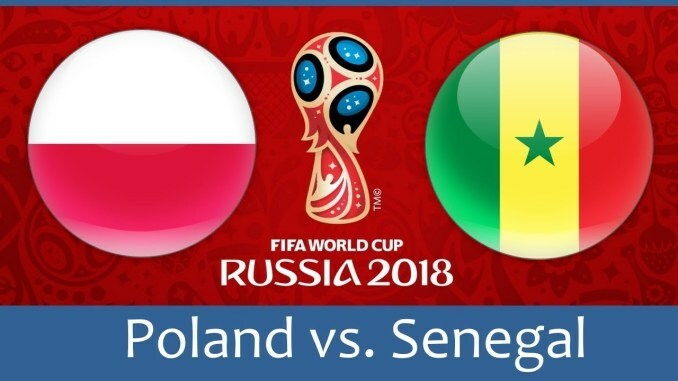 Poland seems to be in a great scoring form, while Senegal is more than capable of hurting them on the counter thanks to the blazing speed of their forwards, so I would go with goals on both ends.